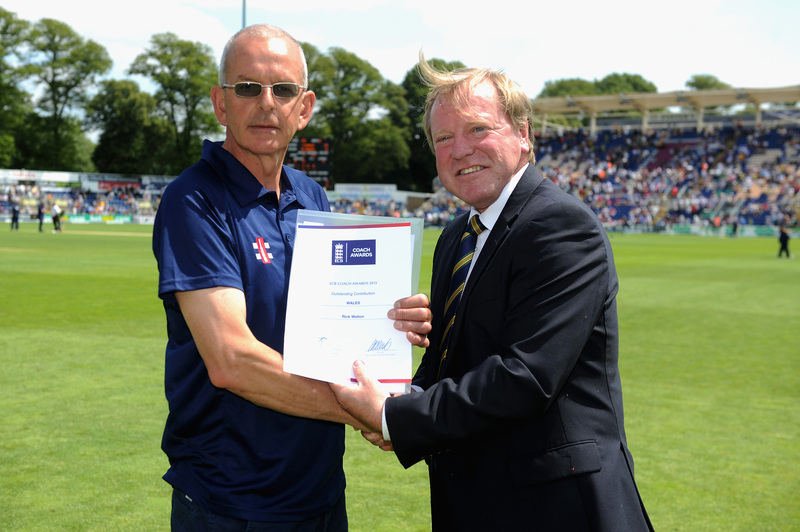 Two cricket coaches from South West Wales have been recognised for their contributions to the sport. Mark Todd, junior coordinator at Clydach Cricket Club has been named Wales coach of the year, while Rick Walton, the Cricket Wales community cricket coach for Pembrokeshire, received the Outstanding Contribution to Coaching award, both from the England and Wales Cricket Board (ECB). 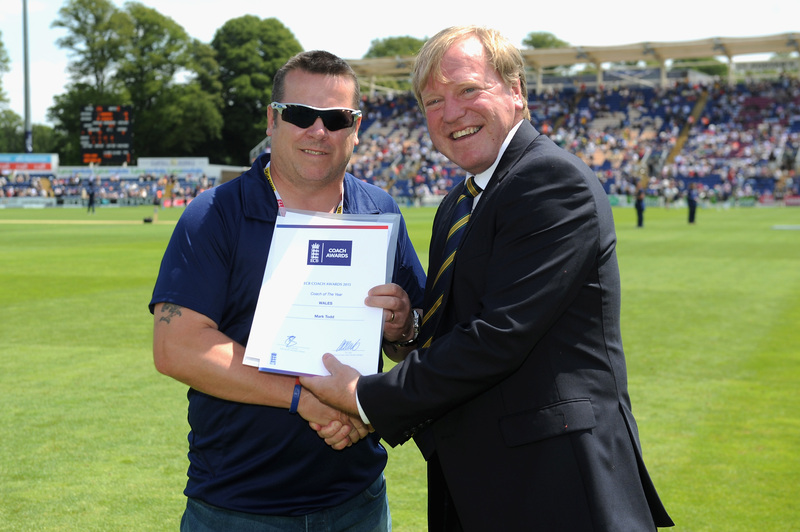 The awards were presented at the SSE Swalec (formerly Swalec Stadium, Sophia Gardens), Cardiff by former England international, Hugh Morris, chief executive of Glamorgan County Cricket Club. Mark started coaching in 2011 with the U12s in Clydach CC and progressed to junior coordinator in 2013. “Each season I have looked to make improvements to the junior section of the club,” he said. “I think the structure needs to be correct to progress, and have I been working on it for about 12 months and hope to complete it at the beginning of next season. “By putting in place documents such as coaching plans and conditioning guides, we are hoping to compete to be one of the best Junior sections in Wales in two years’ time. “I am a level 2 qualified coach and would like to progress to level 3 at some point, but I spend little time coaching technique and prefer giving players opportunities through games, drills and scenario practice. “In 2013 my U14s team won the John Davies cup(SWJCA) for the first time in 36 years, In 2014 they won the Welsh Cup and DC Thomas cup (SWJCA) at U15s, both for the first time in the club’s long history. “This would not have been possible if I did not have help from Jon Price who assists me with the coaching, and also the club members and especially secretary Nigel Garland who gives us lots of support. Rick commented: “I’ve never sought or expected any reward but I am very happy to be recognised. I guess it’s for my ‘good energy’ and enthusiasm, which I imagine people must feel has made some small difference. “When I started volunteering at Haverfordwest CC eight or nine years ago never thought I’d end up working part-time for Cricket Wales never mind being an ‘honoured guest’ at a Test Match. Rick also writes on cricket with insight and no little humour on cricketmanwales.com having being nicknamed “Cricket Man” by hundreds of Pembrokeshire schoolchildren.